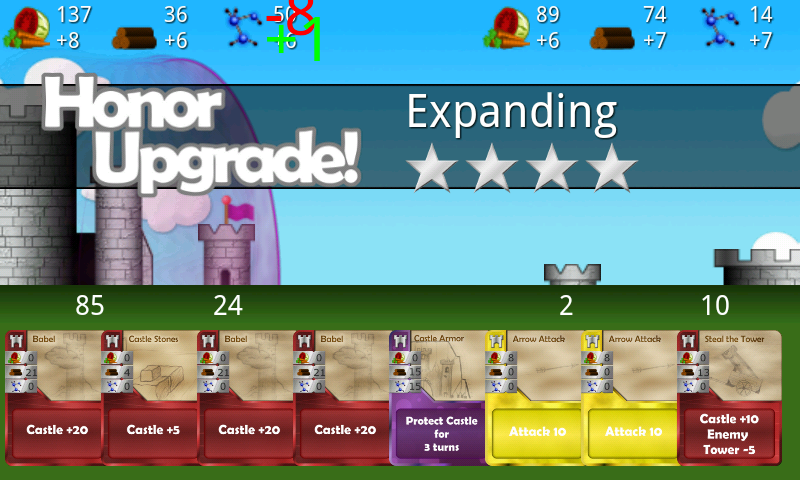 Castles Under Siege is an arcade action card game. It is the year 1312 and europe is in choas. There are thousands of little kingdoms with their own lords and castles. You are a great and honorable king but you are constantly under attack by other kings, trying to conquer you. The goal of the game is to defeat your opponent. 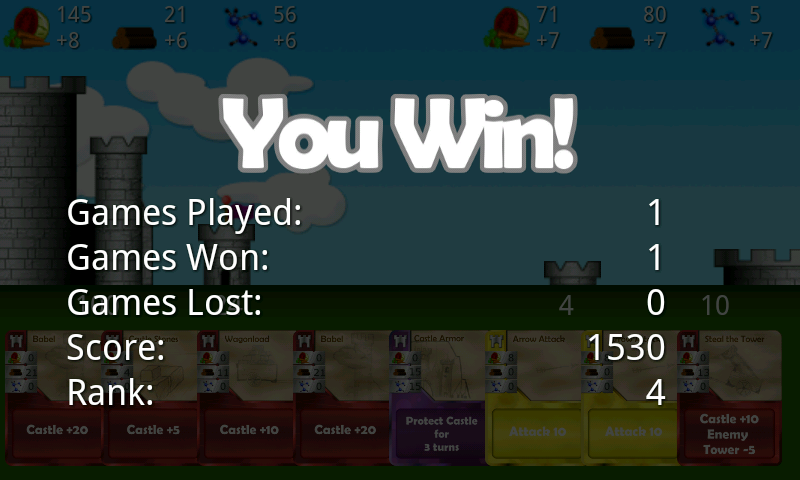 You can do this in two ways; You can win if you destroy the castle of your enemy or you can win by building your castles to ultimate heights. Either way ensures a victory. 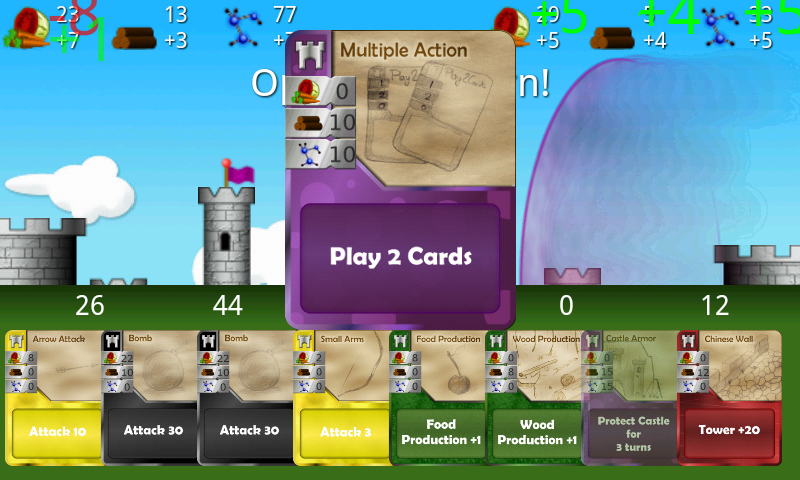 Each player has a deck of cards, which you can put together yourself in the deck management section of the game. From this deck of cards you get 8 cards to begin with. 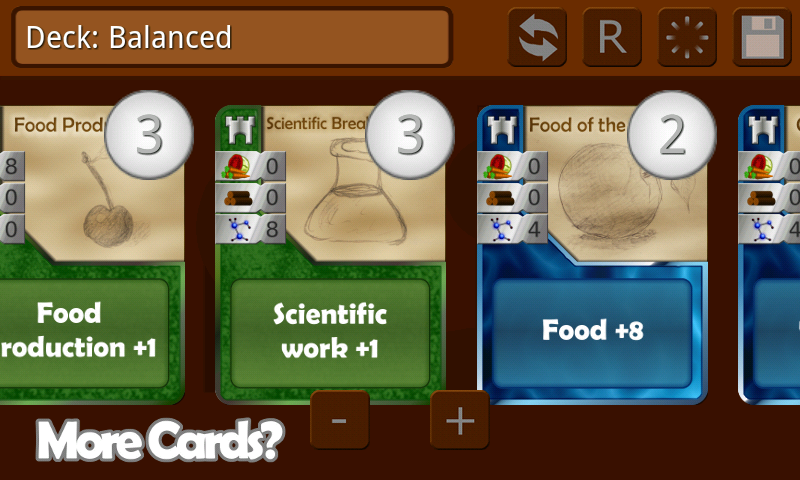 To be able to play those cards you need to proper resources. 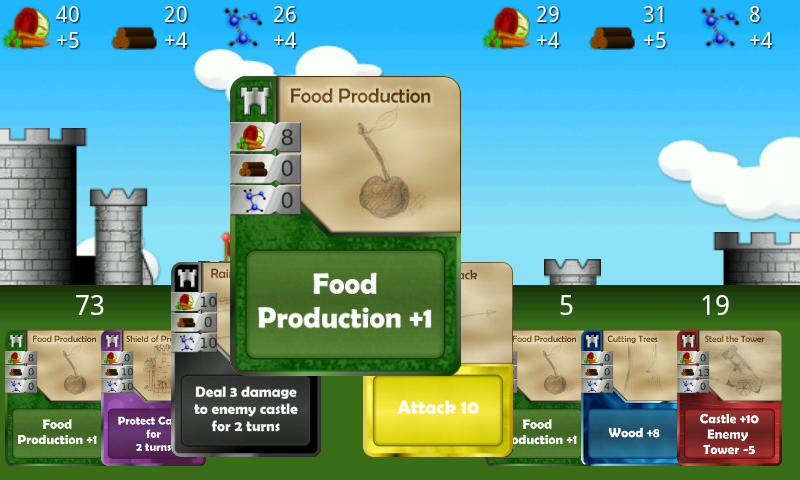 Each turn you receive an amount of resource indicated by the increment value. When you have enough resources you can play a card. But be carefull with your resources and play the correct cards as the enemy always looks for a way to destroy you! 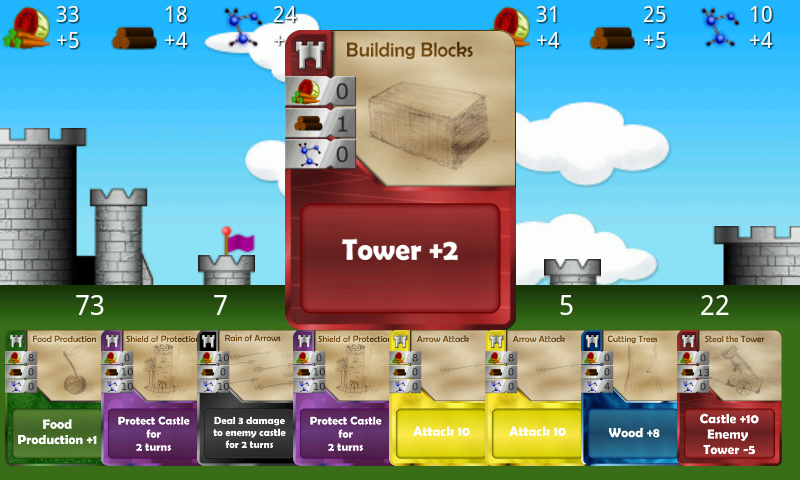 You can play Castles under Siege against your friends and you can play it against the AI. 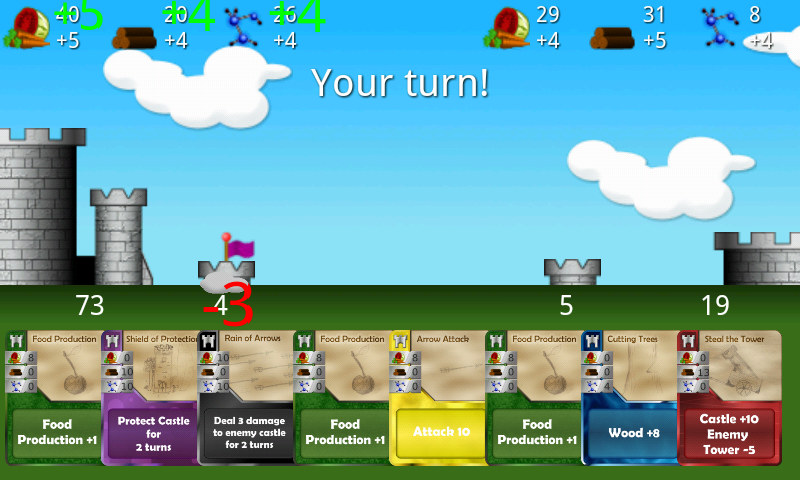 Our AI system has 3 difficulties; easy, normal and hard. The difference between the modes is the ability for the AI to see more moves ahead and the ability to value cards according to the current game situation. 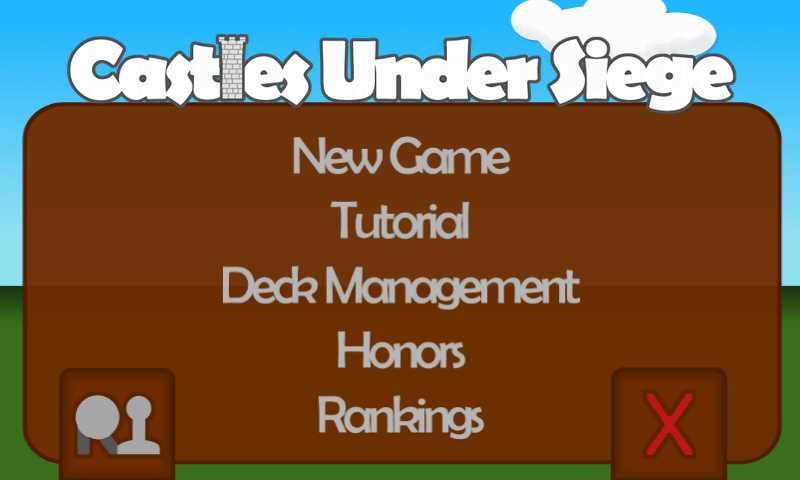 This game is packed with leaderboards and achievements using Google's play services. Try to be the best and get the highest score of everyone. 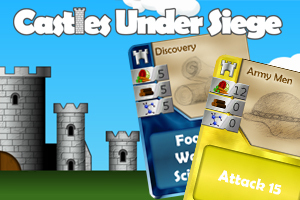 Try to get all achievements in game to show you are the true Castles Under Siege master!